Yeah, you remember the theme tune. 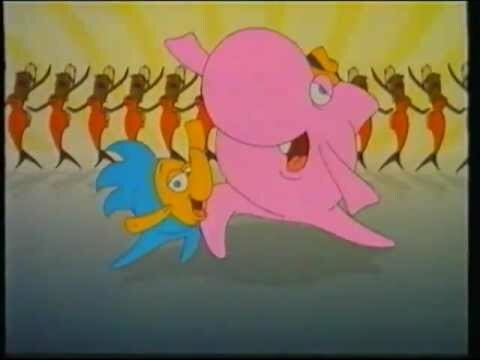 Sharky and George is a French / Canadian production from the late 1980s… and it’s TERRIBLE. Join Jim, Katie and Tony as they discuss awful animation, the nature of fish detective work, what the Shark is actually called (well done there Tony) and many, MANY callbacks to Episode 1 and Defenders of the Earth. Remember to tell your friends, tweet about it (here we are on Twitter), rate and review it (five stars is always nice) and so on. And want to suggest a cartoon for us to watch? Drop us an email here. ← Episode 2 coming MONDAY – and it’s SHARKY AND GEORGE!